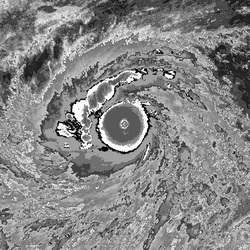 Welcome to West Pacific Tropical Cyclone Page. The English version of this page is still under development, so we only provide information in traditional Chinese. For HKOMN's warning system, please visit: Tropical Cyclone-related Warnings. ^1: Super Typhoon Rammasun (1409) just after its landfall at Wenchang, Hainan at 06Z, 18th July, 2014. Its wind speed reached 215km/h and its minimum sea-level pressure reaches 910hPa. It is the strongest typhoon ever making a landfall on China in the history. ^2: Super Typhoon Haiyan (1330) just before its landfall near Tacloban, the Philippines at 18Z, 7th November, 2013. Its wind speed reached 285km/h and its minimum sea-level pressure is 885hPa. 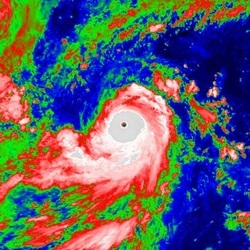 It is the strongest typhoon ever making a landfall on the Philippines in the history.